A high level of personal care and attention to our patients defines the approach of Lake Country Health Center. We consider it a sacred privilege to care for our patients, and enjoy the challenge of finding answers for patients to help them feel better, while doing the job we love. Exceptional care for Dr. Daniel Murray, Dr. Brandon Meye, and Dr. Morgan Reimer means taking time to know and understand patients, going out of the way to find answers to their problems and to provide a variety of traditional and alternative therapies under the roof of Lake Country Health Center to help patients feel good again. 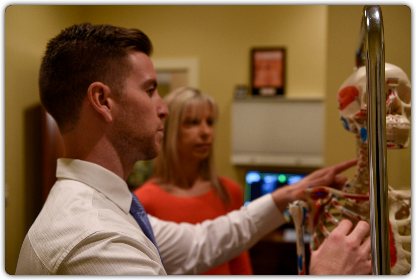 Dr. Dan, Dr. Brandon, and Dr. Morgan believe in and practice a holistic, noninvasive approach to treating injuries and pain. In specific cases when a medical doctor or orthopedic surgeon is a better choice, we call on a deep network of referrals with whom we have built relationships and trust. 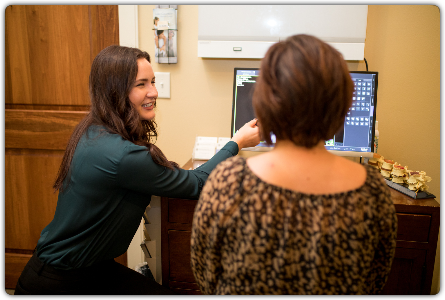 Patients are accommodated with last-minute appointments, when necessary and our providers will frequently come in after hours to see patients and will often call them to follow up on how they are feeling. Often, we personally call ahead to the doctor to which we are referring, a rarity in today’s impersonal health care world! Alternative therapies including in house and through referral network: interferential, ultrasound, radial pulse therapy (RPT), Acoustic Pulse Therapy (APT), cold laser phototherapy, personal training, massage and acupuncture.